Currencies Supported: USD, CAD, AUD, NZD, GBP, DKK, EUR, CHF, MXN, HKD, NOK, SGD, SEK. See below for more info. Donor Experience: Donors get redirected to PayPal to complete their donation. Fund Disbursement: 3 to 5 business days to your bank account. Must initiate transfer from PayPal. Receive donations into your PayPal account immediately as it occurs. The name of your nonprofit is displayed on the donor’s credit card statement with “PP” (for PayPal) appended. For example, it will display as “PP Nonprofit Name”. CauseVox is not displayed. Donors with PayPal accounts can donate without entering in their credit card information. You only need a verified PayPal account to take donations. You don’t need to be a nonprofit. What currencies are supported through PayPal? USD, CAD, AUD, NZD, GBP, DKK, EUR, CHF, MXN, HKD, NOK, SGD, SEK. More currencies available upon request. Please check PayPal for all currencies that can be processed. PayPal’s rate varies based on your location and account type. 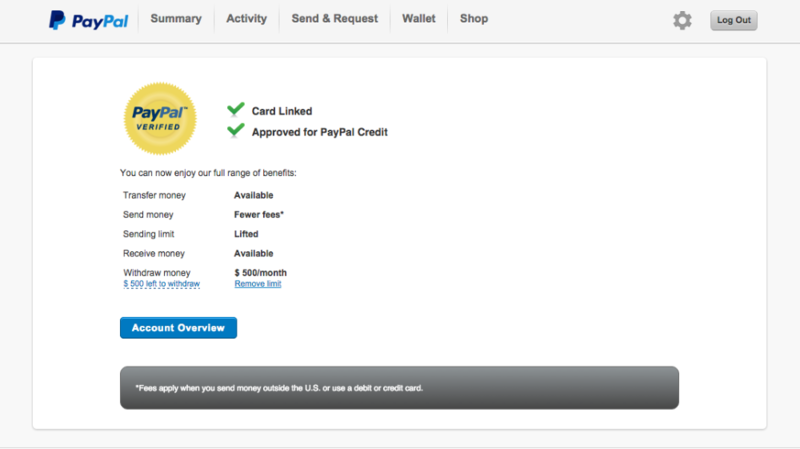 PayPal’s USA standard rate is 2.9% + $0.30 per transaction. Please check your PayPal account for the exact rate. Fees are only applied when you accept a donation and you are never charged a setup or monthly fee for using PayPal. CauseVox fees are automatically taken out by PayPal and you will see this as a line item on every donation in PayPal. More than $100,000 in monthly volume: 1.9% + $0.30 per transaction. Less than $100,000 in monthly volume: 2.2% + $0.30 per transaction. How do I transfer funds from PayPal to my bank account? Donations through PayPal are automatically deposited into your PayPal account immediately after it occurs. You can manually transfer funds from PayPal into your bank account by logging into www.paypal.com. This process typically takes 3-5 business days to settle in your bank account. What is the PayPal donation process like for donors? 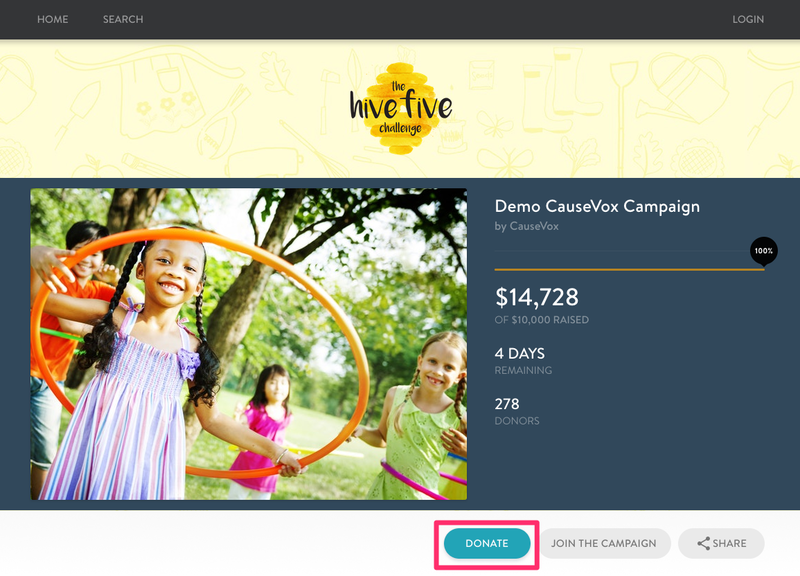 Step 1: Donors click on the “Make a Donation” button on your CauseVox Campaign Site. Step 2: Once the button is clicked, a secure pop-up box appears for them to enter in their donation amount. After information has been entered, donors click “Continue” to proceed. Optional: If running a campaign with personal/team pages, donors can choose to re-select the assignment of the donation. Step 3: Donors then enter in their name and any comments they have. After their name has been entered, donors click “Continue” to proceed. Step 4: Next, donors are asked to put in their email and address, and are given the option to receive email updates from the organization. Step 5: From there, the donor is directed to PayPal to complete their donation. 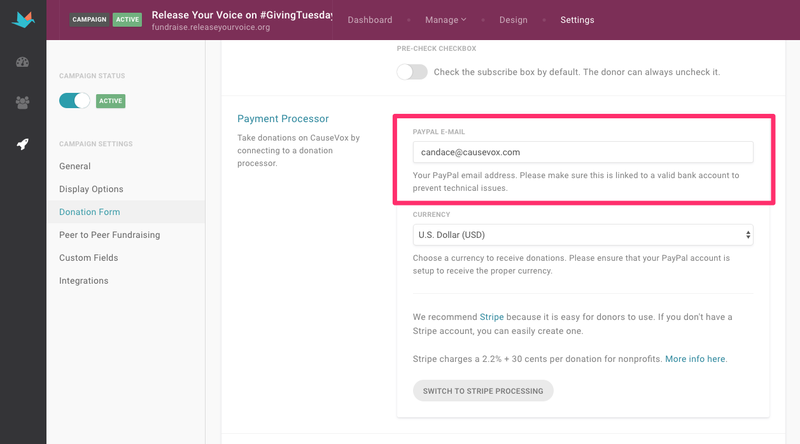 Step 6: On PayPal, the donor can then log into their PayPal account to make a donation or the donor can enter in their credit card number directly. Step 7: Once the donation is processed, the donor is redirected back to your CauseVox campaign site. A transaction receipt from PayPal is sent to them as well as a donation receipt from CauseVox. 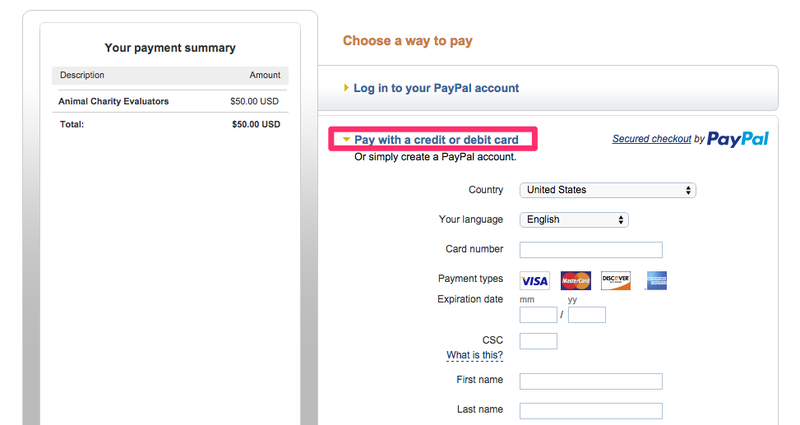 Step 1: If you do not have a PayPal account, sign up here: www.paypal.com. Step 2: Complete setup of your PayPal account so it is a verified PayPal account. You can check to see if you are verified by logging into your PayPal account. See below. Click on the link highlighted to select PayPal. If you have already set up your PayPal account (If not, click here to find out how), enter in the email associated to that account and select the currency you wish to collect at the bottom of the page. Be sure to click Save on the upper right corner of the page.